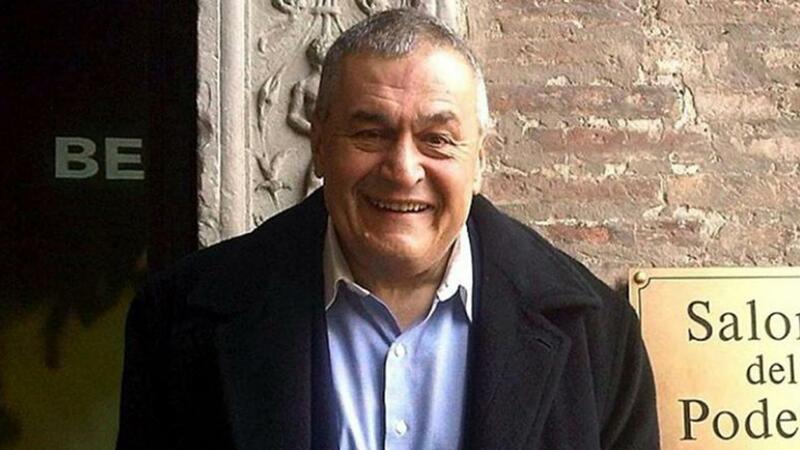 Tony Podesta offered immunity in Manafort D.C. case, not Va.
Tony Podesta has been offered immunity by Special Counsel Robert Mueller to testify against Paul Manafort at his upcoming trial in Washington D.C., Fox News&apos; Tucker Carlson reported, citing two unnamed sources. Podesta is the founder of the Podesta Group and brother of John Podesta, who was chairman of Hillary Clinton’s 2016 presidential campaign. The Podesta Group reportedly worked with Manafort -- a former chairman of Donald Trump&apos;s 2016 campaign -- to lobby on behalf of Ukrainian interests in the United States, without properly registering at the time under the Foreign Agent Registration Act (FARA), Carlson said. Manafort and the group worked on a campaign called the European Centre for a Modern Ukraine, the Washington Times reported. "In other words, for a near identical crime, Bill and Hillary&apos;s friend could escape and emerge completely unscathed while Paul Manafort may rot in jail," Carlson said. Podesta did not register as a foreign agent under FARA, Carlson said in a segment last October. On Monday, a federal judge in Virginia approved and unsealed requests from Mueller&apos;s prosecutors to offer immunity to five witnesses in exchange for their testimony in Manafort&apos;s upcoming trial on tax and bank fraud charges. Those witnesses were identified publicly as Those witnesses are James Brennan, Donna Duggan, Conor O’Brien, Cindy Laporta and Dennis Raico. All are believed to work for financial institutions. After the requests were unsealed, Carlson tweeted: "Our sources maintain that Tony Podesta has been offered immunity to testify in Paul Manafort’s criminal trial in D.C. regarding criminal FARA violations. The witness list released today surrounds Manafort’s VA trial which mainly involves tax violations." U.S. District Judge T.S. Ellis III pushed Manafort&apos;s Virginia trial back until July 31 to give Manafort&apos;s lawyers more time to review thousands of pages of data and documents turned over by Mueller&apos;s office in the last several weeks. Manafort was indicted in the District of Columbia in October 2017 and faces a separate trial there. Tony Podesta resigned from his lobbying group in October in response to Mueller’s investigation of the firm, the report said. The firm was reportedly closed by the end of last year. The special counsel’s office did not immediately respond for comment. Manafort is accused of multiple financial crimes in connection with lobbying work he performed in Ukraine. The first of his two upcoming trials, in Virginia, is scheduled to begin next week. Fox News&apos; Samuel Chamberlain, Alex Pappas and The Associated Press contributed to this story. This story was originally published on July 20, 2018 and was subsequently updated to reflect events occurring on July 23, 2018.